A group of men the Bible refers to as Wise Men are an important part of the Christmas tradition. We know very little about them—who they are or where they came from. There are traditions, but no facts. 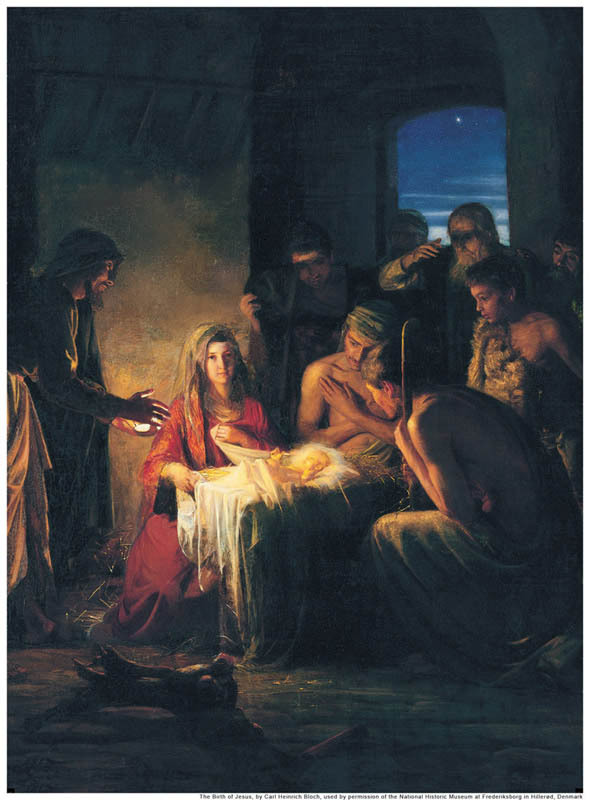 What we do know is that at the appointed time, they knew of the birth of the Savior and began a very long journey to find Him. Despite common nativity scene portrayals, the Wise Men were not at the manger in the stable. It took them a year or two to arrive and the Bible mentions they found him in a child. It also refers to Jesus as a child, not a baby. They arrived first, however, in Jerusalem, where they asked where Jesus could now be found. Herod was not pleased to discover they were looking for a king of the Jews and he gathered his staff around him. He wanted to know where this king was born and learned the child had been born in Jerusalem. His staff told him the prophecies concerning this child. Herod then asked the Wise Men to go to Bethlehem and search for the child. He claimed, falsely, that he wanted to go and worship the child himself and therefore needed to know His location. The star led them to Jesus and they found the child with His mother, Mary. They bowed down to worship Him and then presented the parents with three expensive gifts. In a dream they were warned not to inform Herod of their discovery, so they took a different route home. The Wise Men are credited with saving Jesus’ life. Herod wanted all baby boys two and younger killed in order to ensure that Jesus would not live. Because the Wise Men obeyed the commandment given in the dream, Herod did not learn the child’s location. It is believed that their gifts made it financially possible for Joseph to take his family to Egypt to hide when an angel warned him of Herod’s plan. We can glean a number of lessons from this small segment in the Christmas story. One is that seeking Jesus is, indeed, a wise thing to people to do. It may take years of searching, studying, and praying to find Him,, to accept Him as our Savior, and to align our lives with Him, but it is worth it. The gifts we receive from the Lord Jesus Christ are worth far more than the material gifts the Wise Men brought. A second lesson is the value of following promptings from God even when they are hard. The Wise Men traveled for years to find Jesus, but their visit did not just satisfy their personal need to see the Savior. It provided the means to save His life—something they could not have known. We don’t always know why God wants us to do something, but it is essential to obey, because God does know. In this case, the Wise Men both protected the child from Herod and provided a way for the family to escape danger. Watch this video, made by The Church of Jesus Christ of Latter-day Saints, on the Wise Men. It is brief and uses only the text of the New Testament, King James translation. You may know the members of this church by their nickname—the Mormons.